On February 16th we held in the first session in our EventLAB Series at 58VE. In the run up to the flagship EventLAB 2018 we'll be holding smaller events that dig deeper into the issues event professionals really care about. The morning kicked off with networking and breakfast from Harbour and Jones before our guests moved into the main room for the discussion. There was some lively debate and some really insightful discussion from our panellists and from the audience. This centred around five main themes, that we've condensed into handy key takeaways. When the Bribery Act came into force in 2011, there was concern within the events industry that corporate hospitality would effectively end. There is still a lot of confusion surrounding compliance and this is where our panel believe the problem lies. Dominic suggested that a lack of transparency around what the Bribery Act contains, and the fact that many event professionals aren't familiar enough with the Act can lead to fear. In reality, the Act is in place to promote the benefits of corporate hospitality and penalise those who used opportunities inappropriately. Louise believes that the rules aren't restrictions but actually useful parameters in which to work within, they encourage best practice. Gareth similarly suggested that compliance forces you to think more closely about what you are trying to achieve when hosting an event or clients and that can never be a bad thing. Knowing what you are trying to achieve will make it easier to measure outcomes and ultimately achieve better results. Know the Bribery Act when organising corporate hospitality. Work out what you are trying to achieve from the event or meeting. Be transparent about the aims of your event so there is no room for ambiguity. Be aware that some organisations may have restrictions in place for the monetary value they can accept in the form of hospitality. Use compliance as an opportunity to think outside of the box and personalise your hospitality experience to your guests. 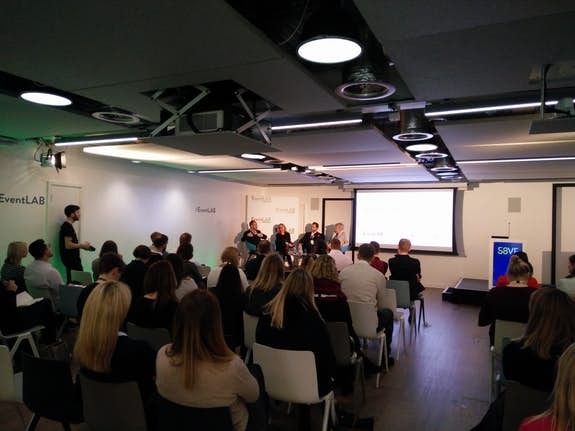 Communication came up as a discussion point throughout the session; there was a resounding call from all our panellists for more communications between events, sales and compliance teams for example. Better channels of communication between these teams would lead to better understanding of what events teams want to achieve and how they can effectively achieve it in a compliant way and also achieve ROI. Building personal relationships with attendees, how you communicate beforehand, during and after an event was also a key point. The panel urged event organisers to use all the data that is being aggregated at events and then boost this with face to face communication in order to develop and maintain relationships. Data can help you personalise your events and it is all there to be used. It's a hot topic in the industry and there was no exception at this discussion. Knowing what the client likes and what they want to achieve from being at your event is so important. Conversely, you need to consider what you want clients to feel, think or do at your event in order to create an experience that works for everyone. We are all individuals and want to feel that our wants and needs are being taken into account. One example was the debate around e-tickets vs. physical ticket; despite the convenience of e-tickets, physical tickets show no sign of going away as many feel an emotional resonance with something they can touch and keep. There's no doubt that tech is here to stay and that it can add a lot of value to events. But, it is not as fast-moving as some would like you to think within the industry, tech trends have been very similar year-on-year for the last five. Both organisers, attendees and exhibitors can be attracted by gimmicks, but they may not actually add any real value to the event itself if delegates don’t end up engaging with what’s on offer. The very human nature of events means that tech has to be used in the right way, to enhance an experience rather than replace it; people still want to engage physically. For example, event apps can bring an event to life if used properly but if they're not used in the right way it can damage what could have been an otherwise memorable experience. The topic that caused the most debate between our panellists was over filming, photographing and sharing experiences at an event. Dominic felt that guests should be fully present rather than viewing an event through a screen. Whilst Gareth suggested that sharing online is part and parcel of the experience for some; people want bragging rights over being at present a major live event. We have also evolved into multi-taskers and have the ability to aggregate, curate and experience events all at the same time. Determining ROI on events is a difficult task, particularly with corporate hospitality as the return can often come months or years later. ROI within events is also aligned with brand exposure or relationship building which is difficult to quantify. Gareth suggested using social media to gauge brand awareness and reach following an event. Data capture should also be used where possible at events and it doesn't always need to involve tech. However, ROI can only be determined if you have clear, measurable objectives set out at the beginning of your project, that was one thing our panel could agree on. Finally, we'd like to say a big thank you to all our sponsors for helping us bring the event to life. A former banker and sports agent, Dominic set up DTB Sports Hospitality & Event Management in 2002, initially as a family-run enterprise. Today the company works with more than 20 officially appointed agents, organizations and governing bodies. It has branched out to include cultural events and special events across the UK and beyond. Through providing a convenient single point of contact it has grown to support a number of leading corporate companies, including a large portion of the FTSE 100 index, both domestically and internationally. Dominic’s industry knowledge makes him a regular contributor to public debates. In 2011 he represented ASTA (Association of Secondary Ticket Agents) at the sub-committee meeting into ticketing in the UK. 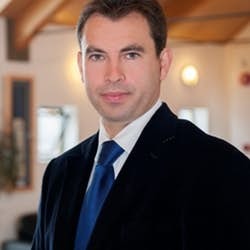 More recently he has been called upon to comment on national debates on the effect of Brexit and the Bribery Act on the hospitality industry in the UK. Prior to joining KPMG in 1998 Charlotte worked at EY then ran her own company providing event and hospitality consultancy advice to different entities including Amex, Allen & Overy and EY. Charlotte has many years’ experience of organising large and small events, conferences in both the UK and Europe, sponsorship of the Ryder Cup, art exhibitions, productions at the National Theatre and general hospitality. Since joining KPMG Charlotte has had a number of different responsibilities for teams in the UK and working across Europe and the US. During these roles, Charlotte’s key focus has been on the importance of building and sustaining personal relationships between individuals within the organisation and clients over a prolonged period and promoting a “client for life” mindset. Charlotte decided to stand down as a Director at KPMG in March 2017 and is now working as a consultant at KPMG and pursuing Non-Executive Director roles. Formerly the Executive Director of Strategy and Planning at George P. Johnson, Gareth is the founder of LIFTD, a specialist strategic communications consultancy. Building on twenty years of experience, working with many of the world’s most recognizable brands, Gareth helps clients to engage their employees, unlock the DNA of their business culture, and build brands through a collaborative storytelling process. Used to bridging the gap between knowledge and creative expression, Gareth has developed insights and robust communication platforms for a wide variety of clients, ranging from BBC, Samsung and GSK, to IBM, Toyota and Zumba. As well as being a prolific blogger on popular culture, politics and technology, he is a well-regarded industry speaker, often presenting on strategy, storytelling and social media integration. As chair of the HBAA (Hotels Bookings Agents Association) the trade association for the hotel booking agency, apartment and venue community, Louise is responsible for helping agencies and venues work together for the benefit of all parties. This is also a core focus of Louise’s role as Head of Venues at Top Banana. Prior to this, Louise spent 20 years with Ashfield Meetings & Events.